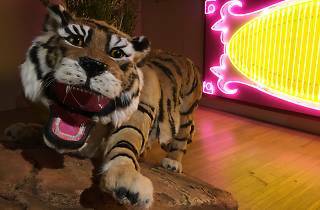 Sculpture Installation artist Adrian Wong recreates a tiger balm garden with a giant animatronic tiger to explore Hong Kong's search of an identity. Acclaimed artist Adrian Wong returns to Hong Kong with another out-of-the-box exhibition for Art Week. 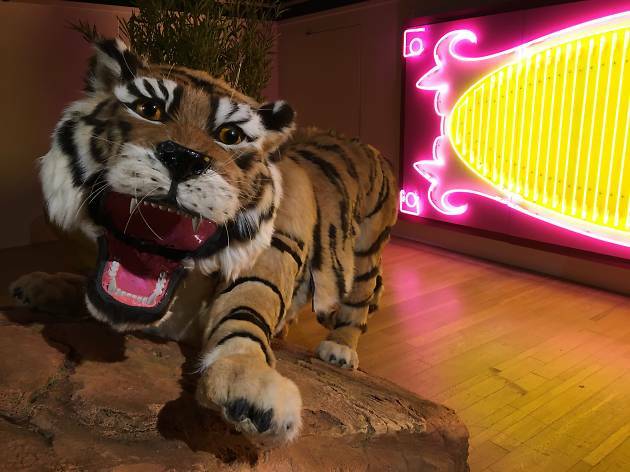 Inspired by the city's old tiger balm gardens, the large scale exhibition is a multi-sensory installtions that features a cement tiger in the center, incorporating animation, sound and flashing light that offers a critique of Hong Kong's search for a post-colonial identity. This exhibition is definitely worth the visit this Art Month.